OXFORD, Miss. – The University of Mississippi Museum and Historic Houses is ready for another semester of events and activities for children and adults. 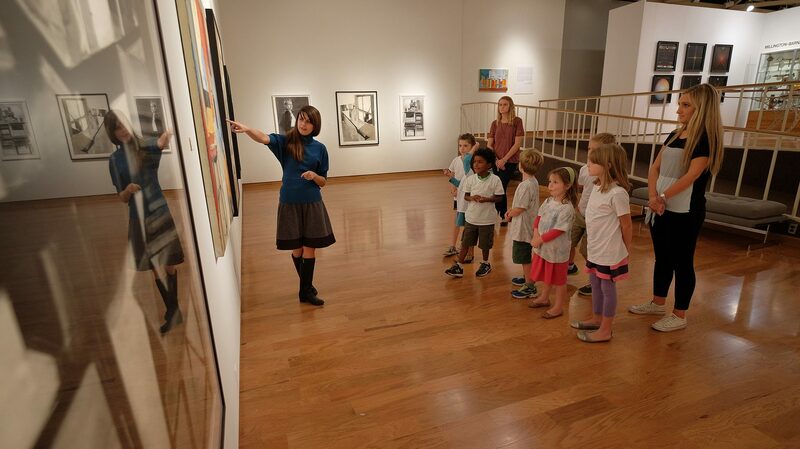 Each year, the UM Museum’s educational programming reaches more than 10,000 children in north Mississippi, providing valuable exposure to the arts and beyond. There is quite literally something for everyone, from the youngest learners – Buie Babies is a stroller tour program for ages 0-2 – to Milkshake Mash-Ups for middle school students and teens, amd special adult studio workshops. Below is a full list of what is happening at the museum this fall. For more information about dates, times, registration, Traveling Trunks, tours and more, visit http://museum.olemiss.edu/, contact the museum at 662-915-7073 or contact McCauley directly at esdean@olemiss.edu. Yoga in the Gallery – Every Monday at 8:30 a.m., starting Sept. 10, the UM Museum and RebelWell host a free group yoga class in the museum galleries. The free class is appropriate for all skill levels and runs about an hour. Bring your own yoga mat and get stretching, surrounded by the museum’s beautiful exhibits. First Friday Free Sketch – Every first Friday of the month, free sketching materials, generously provided by the Lafayette Oxford Foundation for Tomorrow, are available in the museum lobby from 10 a.m. to 6 p.m. This ongoing, self-guided program is free to the public. Dates: Sept. 7, Oct. 5, Nov. 2 and Dec. 7. Mini Masters @ the Museum and Powerhouse – These fun, drop-in workshops for toddlers and a parent/guardian will be offered on alternating dates at the Powerhouse and UM Museum. Pre-registration is not required; the cost is $5 per family. All Mini Masters classes are 3:45 to 4:30 p.m. Thursdays. Milkshake Mash-Ups – On the first Monday of each month from 4:30 to 5:30 p.m., middle school students and teens, grades 6-12, are invited mix two artists or themes into one fun art project. All materials, including milkshakes and toppings, are included. The cost is free, but donations are accepted. Space is limited; be sure to pre-register by emailing Emily McCauley at esdean@olemiss.edu to reserve a spot by the Friday before each mash-up. Dates: Sept. 10, Oct. 1, Nov. 5 and Dec. 3. Buie Babies – The museum’s free stroller tour program for children age 0-2 is a partnership with the LOU Excel by 5 Coalition. Families with babies and toddlers are welcome to join in on a Saturday morning playtime and tour of the museum’s exhibits. Buie Babies is from 9 to 11 a.m., with a guided tour at 9:30 a.m. Dates: Oct. 13 and Dec. 8. Family Activity Days – This fall, the museum has scheduled three family activities days throughout the semester. All family days are suitable for all ages, including special areas for young learners ages 0-2. All family days are free, drop-in events at the museum. 27, 10 a.m.-noon – Mysteries of Nature Family Day: Families will be inspired by Jaime Aelavanthara’s exhibit “Where the Roots Rise” and other artists who use the natural world in this fun, mixed media family day. 10, 10 a.m.-noon – Wire Wonders Family Day: Families will work together to create sculptures using a variety of fun materials inspired by the museum’s special exhibit “A Long Road Back” by sculptor George Tobolowsky. 1, 9 a.m.-noon – All Aboard! Winter Express Family Day: Formerly known as Santa’s Workshop, this special family day allows participants to create seasonal projects and explore as the museum comes to life with sneaky collections elves, a holiday market and more.